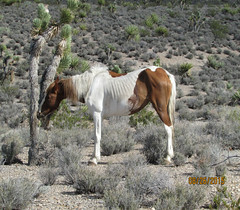 Wild Horse Advocates often take small bits of information from this report out of context to show it supports their beliefs about wild horses. 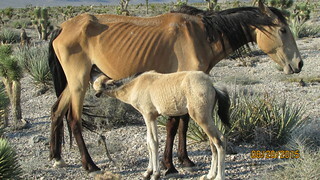 The problem is that those snippets of information taken from the NAS Report by wild horse advocates may be very misleading. As an example, some advocates claim the report supports leaving the excess horses on the range because of a finding on page 5 of the report. “FINDING: Management practices are facilitating high horse population growth rates.” These same advocates believe free-roaming horse populations will magically self-regulate. They don’t, their population expands until they begin to starve! Just read the next finding on page six. 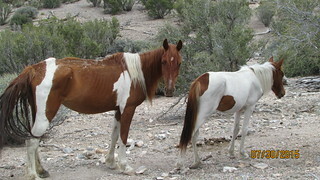 I recommend NAS Report to anyone wanting a better understanding of our wild horses and burros. Just remember, it needs to be taken as a whole. Use good horse sense and gain an understanding of the report instead of just repeating the words.